If you are spending your vacation in Russia, Sochi is one of the cities to visit by all means. It's not in vain people call this city the "Russian Riviera" due to the warm waters of the Black Sea and fantastic nature around. Visitors and locals can swim in these amazing waters up to October! But before you hurry to your hotel from the airport, make sure a premium car with a professional driver is waiting to drive you all around the city. 8Rental is one of the most trustworthy services in the industry of car rental in entire Europe. It offers some of the most beneficial conditions to all its customers and demonstrates a highly professional approach to every order. It's been years since this car and driver supplier has been providing the best vehicles including as cars, so minivans and coaches at affordable prices. What concerns its staff of experienced drivers, these are real professionals. The little driving license is far not a pledge for a reliable driver. Hence 8Rental makes sure all its chauffeurs have had excellent driving experience in passenger transportation before employing them. Therefore, entrusting 8Rental, you will get a guarantee of safe driving. The rich fleet of 8Rental includes such premium cars as Toyota, Volkswagen, Audi A series, Mercedes C and S class cars, Ford Mondeo, BMW 5 and 7, and many others. All of these cars are equipped with amazing features to make your transportation utmost comfy and pleasant. Rent a car with driver on Sochi and feel what it means to be driven in chic! Booking a car from a reputable service you not only get an experienced driver but also a series of other amenities you are sure to love greatly! 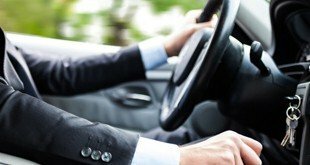 We have as Russian, so English, French, and Dutch-speaking drivers to suit our clients' requirements. They are always sober and ready to serve you professionally. If you can't stand the smoke of cigarettes or want your driver not to smoke, all that you need is to mention it in the quote. All chauffeurs are well acquainted with the city's roads: you name the direction and are carried there safely and quickly. Your driver can meet you at the airport, at the station or right at your hotel. Hiring a vehicle from our car rental with driver, you are provided with free fuel to your entire stay in Sochi and free health insurance. As long as you are driven in a car rented by 8Rental, your safety is taken good care! Sochi is a marvelous destination for people with different interests. There are fabulous nature resorts and parks, sights and landmarks, outdoor activities, etc. Everything here is provided for organizing fantastic rests! So, suppose you are already in Sochi. You need to hire a chauffeur driven car in Sochi and tell him to take you to the most impressive destinations in the city. Here are the city sites you shouldn't miss:1. Rosa Khutor Ski Resort (for winter rests)2. Agura, 33, Orekhovsky Waterfalls3. Dagomysskiye Koryta4. 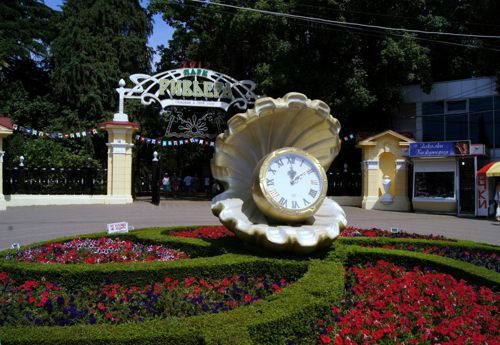 Park of Sochi5. The Discovery World Aquarium of Sochi6. Riviera Dolphinarium7. Amphibious Aquapark8. The amusement park with Ferris wheel9. Sea Star Aqua ParkSochi is also a fascinating destination for art and culture lovers. Once you here, make sure you visit the most amazing Cathedral St. Michael the Archangel, Church of the Trinity, Church of St. John Chrysostom, as well as the Museum of History of Sochi, and others.